The Mac Outlook backup file (.OLM) carries all the mail items and can be used in case the entire Outlook for Mac 2016 or 2011 gets damaged or corrupt. 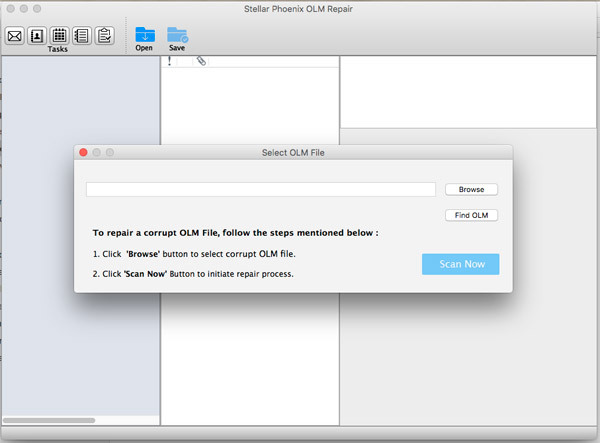 However, if the .OLM file itself is damaged, you can repair it with Stellar OLM Repair. This competent utility efficiently repairs corrupt Mac Outlook .OLM backup files and recovers back all your inaccessible Outlook mail items. 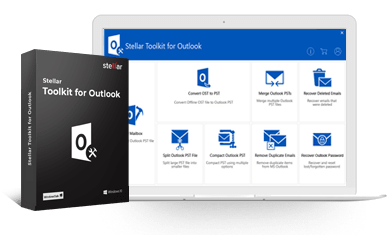 An Innovative utility, which helps you to repair OLM file (Outlook backup file) and recover the inaccessible mailboxes, containing Emails, Contacts, Attachments, Calendars, Tasks, Notes, etc. The recovered mail objects are saved in a .RGE file, which can be imported into Outlook and thus easily accessed. The software recovers the user's corrupt mailboxes that became inaccessible in the archived OLM file. All the data items such as Emails, Attachments, Calendars, Contacts etc., stored within the users' mailboxes can be retrieved using OLM file repair tool. The saved .RGE can be easily imported into Outlook for Mac 2016 and 2011 using Import/Export feature. 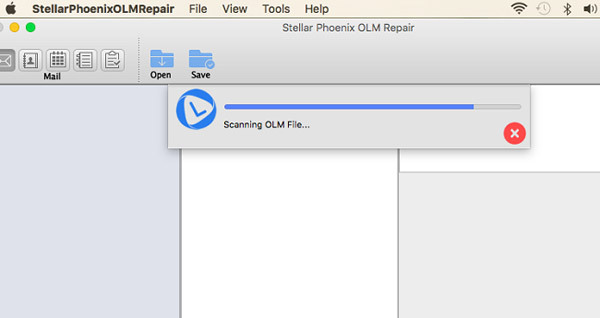 Stellar Repair for OLM tool provides search feature to find OLM file stored in any specific drive or storage volume in your system. 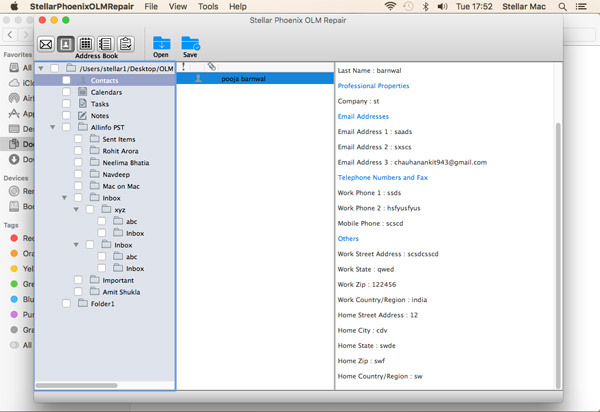 This feature is quite advantageous when the location of the archived Outlook for Mac OLM file is unknown to the user. After successful completion of the repairing process, the software shows the preview of all the recoverable mail objects. You can click the icon from the tool bar (Mail/Address Book/Calendar/Notes/Tasks) and see the corresponding recoverable Outlook objects in a three-pane structure. 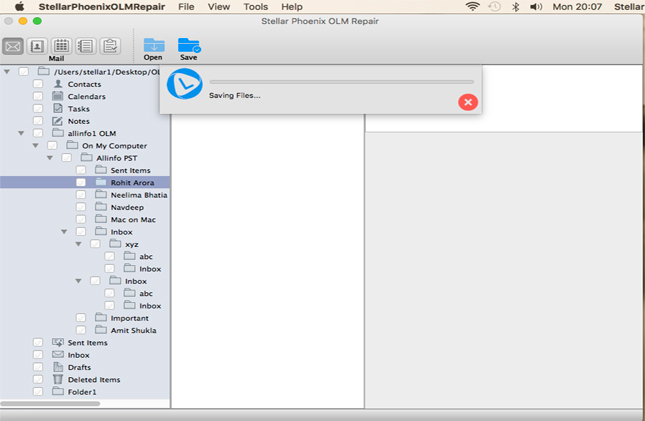 The OLM Mac repair utility provides the option to save a particular folder after the OLM file gets repaired. It is one of the most important features as users may not want to keep all the folders, but specific folders depending on their requirement. The Tech version of Stellar Repair for OLM software allows users to save the recovered mailbox items in several file formats. You can repair OLM file using Technician version of the software and can save the OLM file items to MBOX, EML, EMLX, HTML, and RGE format. 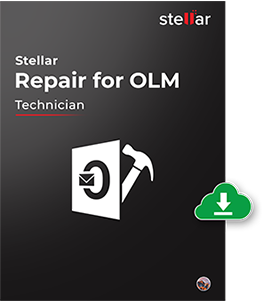 Stellar Repair for OLM software incorporates highly interactive graphical user interfaces, which provide an immensely easy means of repairing damaged OLM files. Moreover, the software is completely risk-free, and you can use it without worrying about any damage to your mail items. 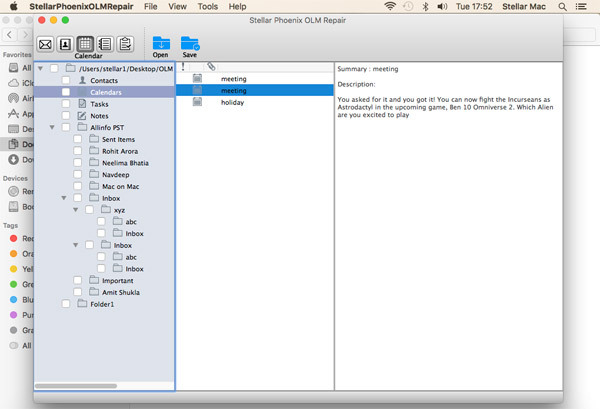 The software supports latest MS Outlook for Mac 2016 and 2011 version. Along with latest Outlook version compatibility, OLM file recovery software supports Mac operating system macOS Sierra 10.12, 10.11, 10.10, 10.9 and other earlier versions. 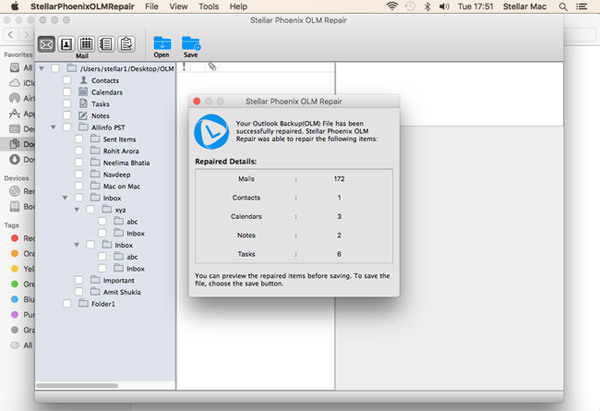 This is the main interface of the Stellar Repair for OLM software. You can locate corrupt OLM file through 'Browse' option. 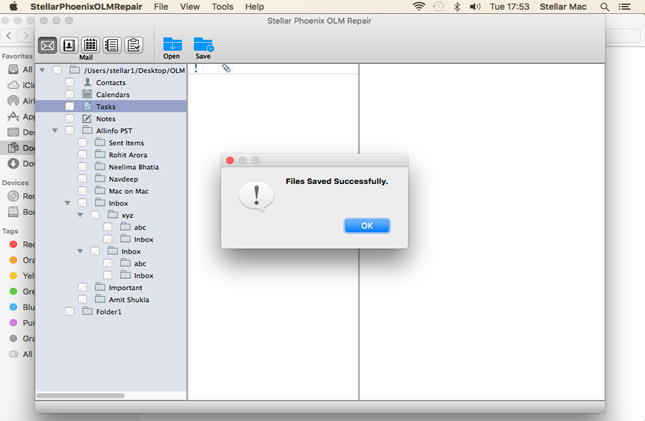 If you have no idea about the location of file, then click on 'Find OLM'. 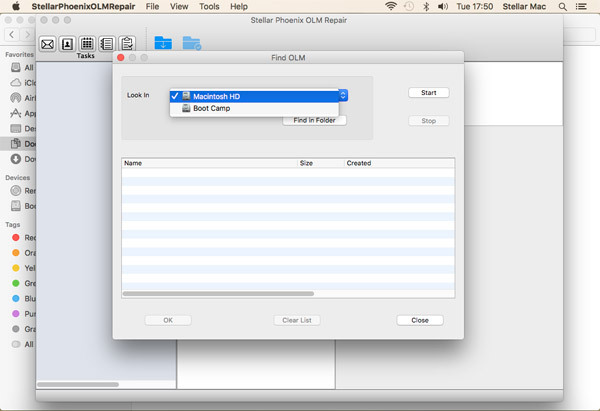 Even, you can fetch the damaged OLM file fromthe selected Mac volumeby using the drop-down feature. Click on 'Start' button to find list then the software will automatically searchthe selected folderto bring the list of all OLM files. 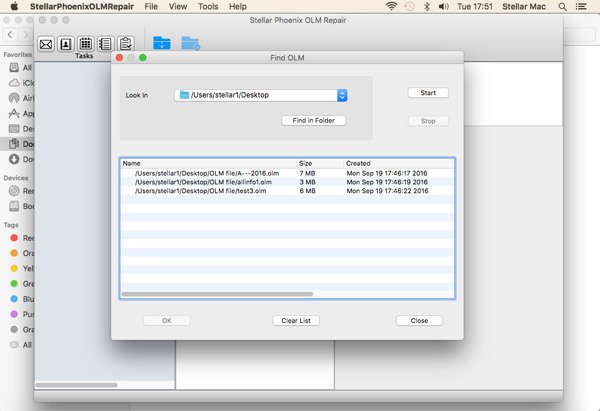 The scanning process starts, which is indicated by the 'Scanning OLM File' status bar. You can click the 'Stop' button to discontinue the process in the middle. After completion of the OLM repair process, the software provides the detailed summary of the entire process. This summary report shows the number of recoverable mail objects, such as individual counters for Mails, Contacts, Calendars, Notes, and Tasks. To preview your recoverable Mails, click the 'Mail' icon from the tool bar. 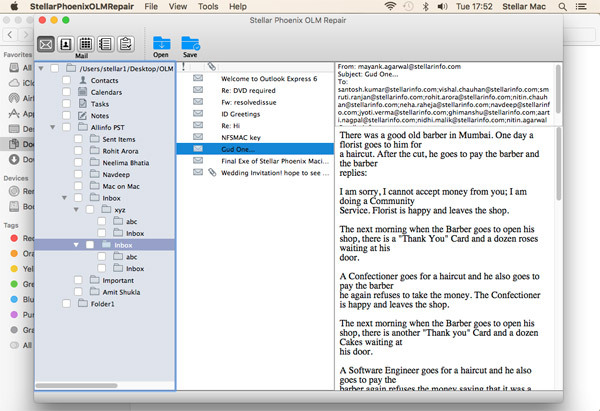 The middle pane shows the mails in the selected mail folder from the left pane and the right pane shows the content of the selected mail from the middle pane. To preview your recoverable Contacts, click the 'Address Book' icon from the tool bar. The middle pane shows all the contacts in the Address Book and the right pane shows the details of the selected contact. To preview your recoverable Calendar entries, click the 'Calendar' icon from the tool bar. The middle pane shows all the calendar entries and the right pane shows the details of the selected entry. To preview your recoverable Notes, click the 'Notes' icon from the tool bar. The middle pane of the interface shows all the notes, available in your mailbox and the right pane shows the content of the selected note. To preview your recoverable Tasks, click the 'Tasks' icon on the tool bar. 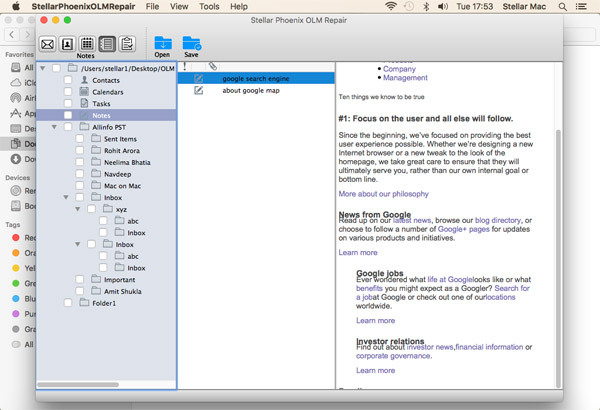 The middle pane shows all the tasks in the mailbox and the right pane shows the content of the selected task. Apart from Entourage Archive (. 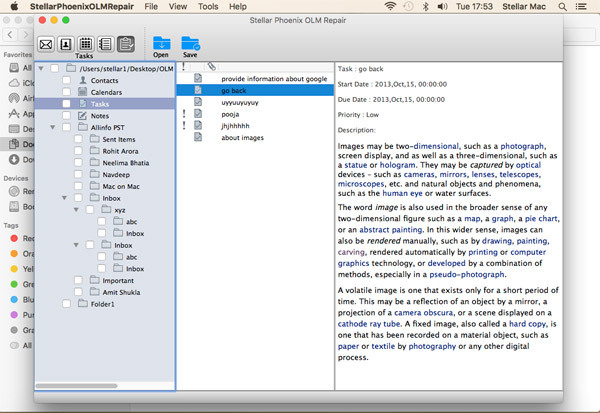 RGE) format, The Technician version facilitates the option to save the repaired OLM file into multiple formats like Apple Mail (MBOX), EMLX, EML and HTM. You can choose any one as per your requirement. 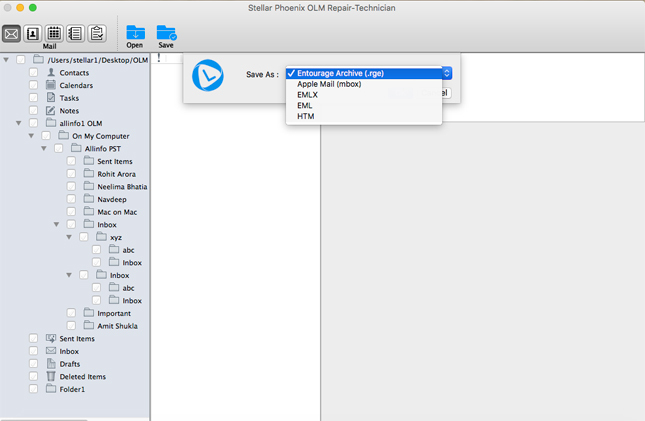 In order to save the recovered mail objects, click the 'Save Repaired File' icon from the tool bar. Provide the destination location and the repaired file gets saved by the name 'Main Identity.rge'. This software is the most flexible for archive (.OLM) files in Outlook 2016. It runs smoothly on Mac OSX environment. I had successfully recovered my Outlook Mac backup files with this awesome utility, also I would highly recommend to others who may have the same problem I did. 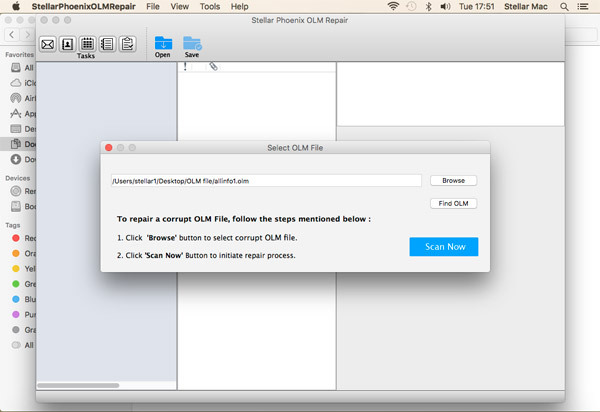 Que: Is it possible to repair multiple OLM files simultaneously, using Stellar Repair for OLM?